Our Artisans have created this beautiful nativity out of marzipan. 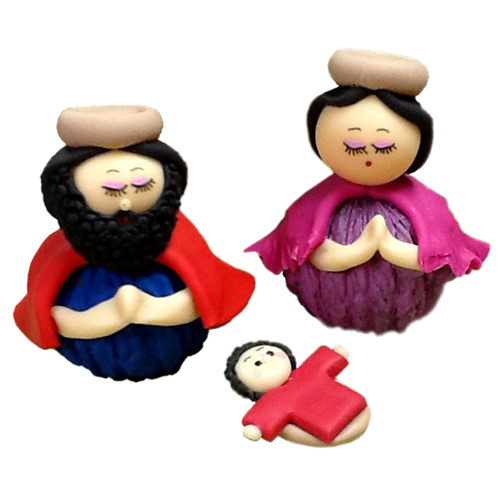 Marzipan is almond paste, they used the paste to mold these miniature figurines for our nativity. The base of the bodies are walnuts. It takes talent to put such detail into each piece.